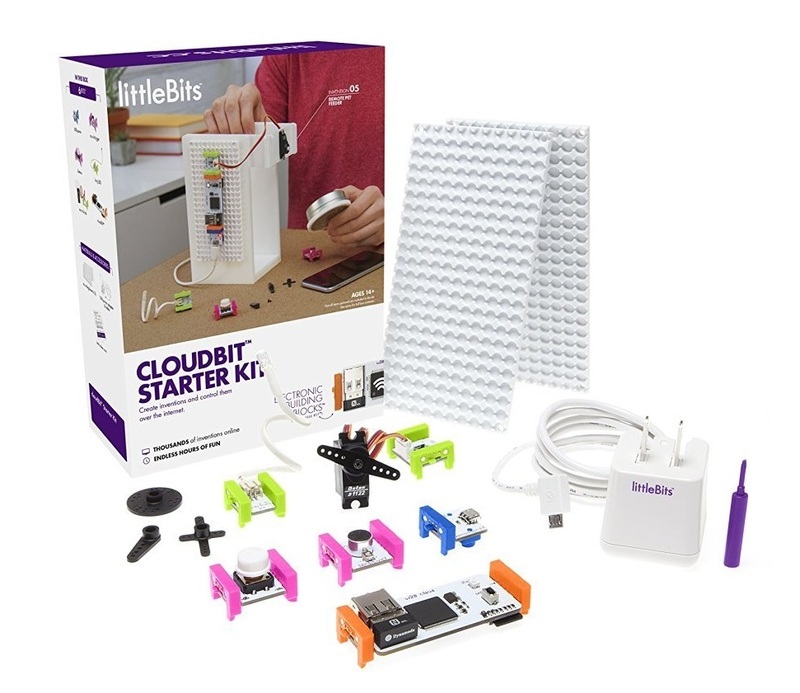 This kit includes the cloudBit plus 5 of our favourite prototyping modules; everything you need to create internet-connected devices in seconds. 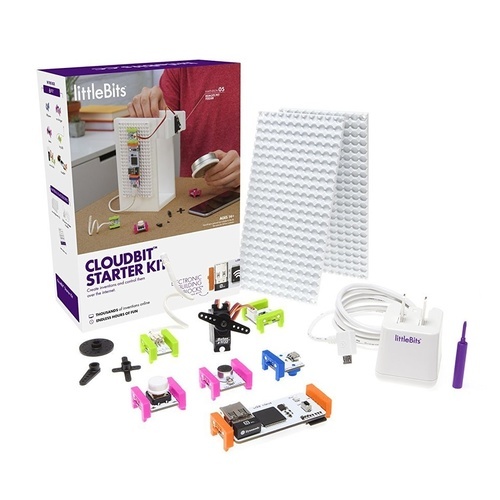 Recreate the most popular smart devices, use littleBits to prototype the next billion dollar idea, or invent a project that solves your own, unique problem.Perfect for hackers, designers, makers and tinkerers of all levels--without the programming, soldering and wiring normally required. - Build with 5 intro projects, including an SMS doorbell, internet-connected lamp and many more online!